Will you run a hard check on my credit? Why do I need TheGuarantors Lease Rental Bond? What is a Lease Rental Bond? What is the cost/pricing to use TheGuarantors service? How much does it cost to apply for TheGuarantors Agency Lease Guarantee? What are the typical minimum requirements that TheGuarantors Agency would accept? I'm an international traveler, expat, or foreign student. Is TheGuarantors Agency Lease Guarantee for me? What is a Responsible Party and why do I need one? What if only one roommate needs to use TheGuarantors? What if I don't work or I don't make 27 times the monthly rent? Do I get credit for my bonus, relocation allowances? Do I get credit for liquid assets I own? Do I get credit for my 401-K savings? Does every building accept TheGuarantors Agency Lease Guarantee? What are the steps and timeline for the process? What happens if I break or stop paying my rent (not that I would ever do that)? What is TheGuarantors Lease Guarantee? Is this for subprime tenants? Who is typically covered by TheGuarantors Lease Guarantee? Who pays for this insurance coverage? What should I do to have my units covered? What are the main benefits of TheGuarantors Lease Guarantee? How long does the coverage run for? How long does it take TheGuarantors to process an application? I want to sublet my condo or Co-op. Could my unit get covered by the Lease Guarantee? Do I need to change my processes and procedures? Who would pay for the claims? What should I do in case of default? When do you pay losses? In case of default, does TheGuarantors Agency cover the costs of eviction, legal fees or late fees? What is the landlord portal? How do landlords sign up for the landlord portal? How do we compute these fees? How long does coverage run for? My client wants to sublet their condo or co-op. Could this unit get covered by the Lease Guarantee? How do brokers sign up for the broker portal? A guarantor is someone who is legally responsible if you stop paying your rent. A credit score in the United States is a number representing the creditworthiness of a person. It is used by landlords to determine the likelihood that a person will pay his or her rent. We can approve you even if you have no credit, however we cannot approve individuals with credit scores below 630. Yes, our credit report is a hard check. The Guarantors are an alternative established and accredited co-signer. We turn a rejected application into an accepted one. As your guarantor, we only work with trusted insurance carriers, so your landlord will definitely be comfortable with us on your team! The Guarantors Agency Lease Rental Bonds are issued by The Hanover Insurance Company, and United Casualty & Surety Insurance Company. The Guarantors Agency HO-4 policies are issued by Stillwater Insurance Group. Security Deposit Replacement Bonds are issued by United Casualty & Surety Insurance Company. The Hanover Insurance Company, United Casualty and Surety Insurance Company and Stillwater Insurance Group are all duly licensed in New York State. Renting an apartment in NYC is tough! Common reasons for needing TheGuarantors include the absence of credit score, a credit score below 700 or an income below 35 times the monthly rent. If you’re a great tenant but it’s hard to prove that then TheGuarantors will get you in. It’s the fastest and safest way for tenants to meet the tough requirements for renting an apartment. Your landlord might have referred you to us if they want to rent the apartment to you, but you don't pass their qualification requirements. A Lease Rental Bond is basically an insurance policy in which the landlord is the beneficiary. The renter buys the policy in order to qualify to rent the apartment, and the policy insures the landlord for the term of the renter's lease. This means that landlords can accept renters they might otherwise have to reject, because they are eliminating their risk. For US residents, the guarantee typically costs around 4.75-7.5% of the annual rent. For non-US residents, the cost is typically around 7-10% of the annual rent. For example, if your apartment is $3,000 per month for a 12 month lease and your rate is 7%, the cost of our premium would be $2,520. If this was for an 18 month lease, the premium would be $3,780. Fees depend on credit score information and personal financial condition. Renters pay for the policy in a one time upfront payment before the lease signing. Cost is per lease, not per tenant. After submitting your application, which should take about five minutes, you will hear back from us within just a few hours during normal business hours. Your obligations under the lease remain the same with or without TheGuarantors Agency coverage. Defaulting on the lease will lead to legal actions, the start of an eviction process and reporting to credit bureaus. You will be liable for legal fees and any rent payment due. If you have a FICO score, the minimum score is 630, and if employed, the minimum total annual income accepted is 27 times the monthly rent. If you already have a co-signer, but the landlord won’t accept them, we would love to talk. We assess each application on a case by case basis, so even if you don’t satisfy these requirements, don’t feel discouraged. Reach out to us! We want to help you get in. Yes, prospective renters with no US credit score are eligible for TheGuarantors Agency Lease Guarantee. The rate for non US citizens is usually between 8 and 10% of the total annual rent. If you are an international student, you'll most likely need a Responsible Party in order to qualify. A Responsible Party is a family member that makes 45 times the rent or has 75 times the rent in liquid assets. This is different from a guarantor, as the individual does not need to be in the US, and their income and liquid assets do not need to be in US dollars. A Responsible Party is a family member that makes 45 times the rent or has 75 times the rent in liquid assets. This is different from a guarantor, as the individual does not need to be in the US, and their income and liquid assets do not need to be in US dollars. Guarantors are also required to make around 90 times the monthly rent and live and work in the US. You might need a Responsible Party if you are a student, don't have any income, or don't have enough income to qualify on your own. Our Lease Guarantee provides coverage for the entire lease, so we are not able to cover only one roommate or one section of the lease. You might still be able to qualify! If you have liquid assets, we can look at that as well to see if that helps you qualify. You might also be able to use a Responsible Party to qualify. The Responsible Party has to be a relative that makes 45 times the monthly rent or have 75 times the monthly rent in liquid assets. This individual does not need to be a US citizen or live in the US. Depending on how you fill out the questionnaire, we will need different documents from you. For example, if you are an employed US citizen, we will need a copy of your passport or state ID, your signed letter of employment, two most recent pay stubs, and two most recent bank statements. If you’re an international student, we’ll need your current visa, Form I-20, and some documents from your Responsible Party. Yes, bonuses and other allowances can positively impact your application. Yes, liquid assets such as securities, bonds or stocks are taken into account. Yes, retirement accounts can positively effect your application for individuals that are over age 59.5. We cover leases ranging from 6 months to 24 months. At this time, we are available in Arizona, Arkansas, Connecticut, Washington D.C., Florida, Georgia, Illinois, Kansas, Massachusetts, Maryland, Nebraska, Nevada, New Hampshire, New Jersey, New York, Ohio, Oklahoma, Pennsylvania, Rhode Island, Texas, Virginia, Washington, and Wyoming. Not every building accepts us yet, but we're happy to speak to any landlord about accepting our service. If you would like to assist in the enrollment of the property please email contact@theguarantors.com and one of our associates would be glad to speak with you. 1. You and all other leaseholders submit your questionnaire(s) on our website. 2. You upload the requested documents right to the application. 3. If approved, we'll email you a Qualification Certificate, indicating that you have been approved. 4. We will reach out to the building to confirm the lease details. 5. You will pay our premium and sign our agreement. 6. We issue the Bond to the building and let them know you are approved and ready to sign your lease! The premium is a one time, upfront fee, that needs to be paid before signing your lease. We accept debit and credit cards, wires, ACH transfers, and certified bank checks. Please note, if you pay by certified check, it must be dropped off in person at our office at 7 World Trade Center, New York, NY. We do not accept checks through the mail. Our rental lease guarantee opens doors to renters and eliminates the risk of default for landlords. Unlike other rental income insurance, the policy is paid by the prospective renter and covers tenant default during the whole length of the lease. No. Prospective tenants with FICO Scores below 630 are not eligible. Prospective renters who do not meet the landlord’s financial requirements and do not qualify to rent the unit. We remove the risk from applicants whose income is non-traditional, foreign, out-of-state, or difficult to evaluate. We also cover corporate leases and other exceptional circumstances, which we evaluate on a case by case basis. Prospective renters do. TheGuarantors Agency offers landlords and property managers institutional strength income guarantee at no additional cost. This is a unique insurance product in that the tenant pays the premium but the landlord is the beneficiary. Renters pay for the policy. For US-residents, a policy typically costs around 4.75-7.5% of the annual rent. For non-US residents, the cost is typically around 7-10% of the annual rent. Cost is per lease, not per tenant. We compute the fees based on the client’s application and creditworthiness. In general, the more eligible (income, credit score, assets, etc.) the client, the lower the fee. We currently cover 12-month leases. If your lease period is not 12 months, let us know. We would love to discuss and work with your arrangement. A few hours after the prospective tenants provide us with all the required documentation. Yes, condo owners just need to sign our Lease Rental Bond policy authorizing us. What is a broker portal? The broker portal is a tool to help real estate brokers engage their clients, invite them to get approved, view our buildings database, and drive their clients' rental process forward. The sign up form is available under the "Brokers" page. Click here to go to the form. If you have any questions, feel free to email us at contact@theguarantors.com. Prospective renters who do not meet your financial requirements and do not qualify to rent your units. We remove the risk from applicants whose income is non-traditional, foreign, out-of-state, or difficult to evaluate. We also cover corporate leases and other exceptional circumstances, which we evaluate on a case by case basis. Prospective renters do. TheGuarantors Agency offers landlords and property managers institutional strength income guaranty at no additional cost at all. This is a unique insurance product in that the tenant pays the premium but the landlord is the beneficiary. You will need to sign-up your building, which only takes a few minutes. The Lease Rental Bond policy simply authorizes us to issue insurance policies in your building. Again, there is no obligation to use our product and it’s absolutely free. 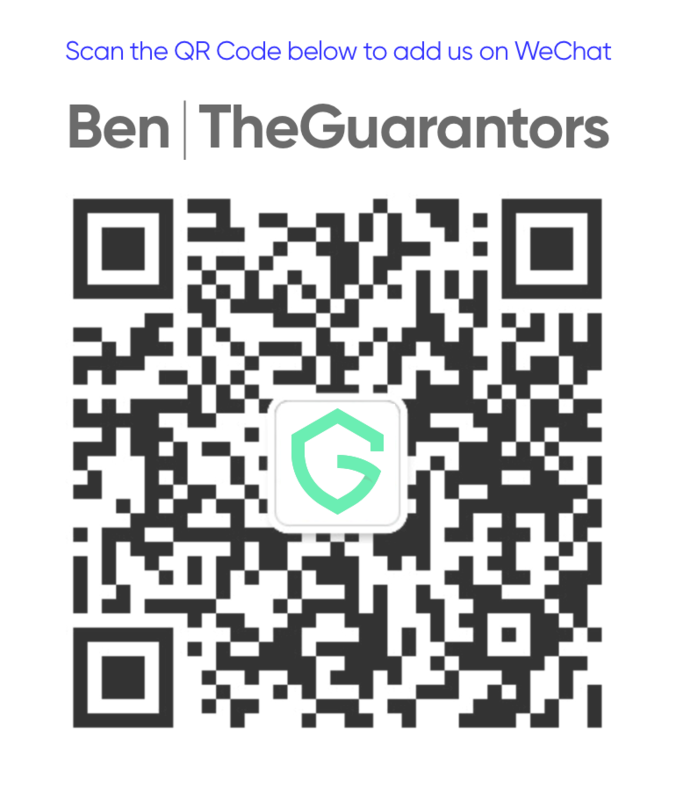 Feel free to reach out to us at building@theguarantors.com for more information. Renters pay for the policy. For US-residents, a policy typically costs around 4.75-7.5% of the annual rent. For non-US residents, the cost is typically around 7-10% of the annual rent. Fees depend on credit score information and personal financial condition. Cost is per lease, not per tenant. No cost: Tenants pay one low fee for a full year of coverage. We currently cover leases from 6 to 24 months. Yes, condo owners just need to sign our Lease Rental Bond policy authorizing us to issue out insurance coverage. If you are in a co-op building, we will need board approval. Actually no. No change is required to your existing procedures, and there is no obligation to use our product. We would! Our Lease Guaranty Bond is backed by The Hanover Insurance Company, a large and trusted insurance carrier. So you'll be reimbursed on time, guaranteed. No later than 95 days after a tenant default, you will have to commence an eviction process if the tenant has not left the unit yet. Simply send us an email at contact@theguarantors.com. In a few months, we will release a landlord portal so that you can easily submit claims in addition to other features. Three days after receipt of an initial claim. The amount of each monthly loss payment is equal to the amount of the monthly rent. In these cases, we allow you to cover legal fees using the security deposit less damages. Furthermore, we will cover you for up to 2 months of holdover rent. Please contact us at contact@theguarantors.com for more information. The landlord portal is a tool to help landlords engage their renters, invite them to get approved, view our buildings database, and drive their the rental process forward. The sign up form is available under the "Landlords" page. Click here to go to the form. If you have any questions, feel free to email us at contact@theguarantors.com.